Tracks are accurate to a 20c coin and true to the exact road surface at the specific motorsport venue being raced, offering an unparalleled authenticity and first class racing experience you’ll be proud to tell your friends about. Feel the exact surface the professionals drive without compromise. 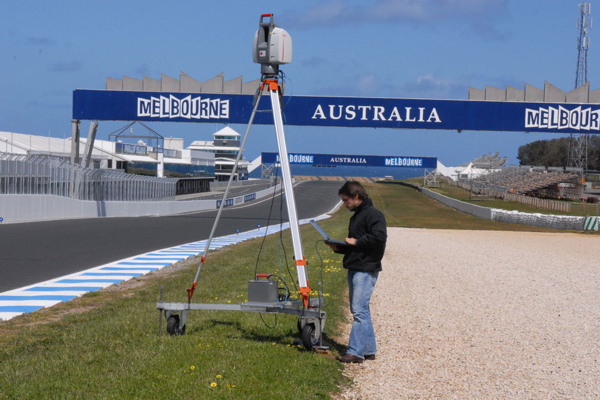 Familiarise yourself with real-world scenery and braking markers. You’ll struggle to determine what’s real and what is recreated. Former F1 driver, Le Mans winner, and overall racing legend Stefan Johansson recently visited CXC Simulations to experience our virtual Nordschleife for the first time – a track which Mr. Johansson shares a history with, having raced it in Formula 3, Formula 2, and in the legendary Group C car – the Porsche 956. Listen to Stefan Johansson give some little known tips on how to navigate the 20.8km track in the McLaren-Honda MP4-30, and hear his impressions of the laser-scanned track itself.